Readdle has announced a 48 hour Black Friday sale, with all of their apps on sale, up to 80% off. To celebrate the sale, PDF Expert for iPhone is a temporary free download (regularly priced at $9.99). You can check out the entire list of apps on sale here. 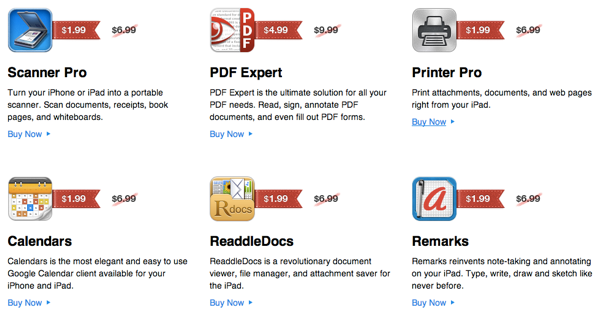 Every app is on sale for $1.99 except for PDF Expert for iPad, which is $4.99. Don’t forget EA is also holding a Thanksgiving sale on their apps as well.